Opponents of Blair warn he is abusing his role as envoy, forging liaisons with dubious regimes and opening himself up to murky financial channels in the process. The ex-PM, who works as a highly-paid consultant to various authoritarian governments in the Middle East, is also the subject of a public inquiry into the legality of the Iraq war. 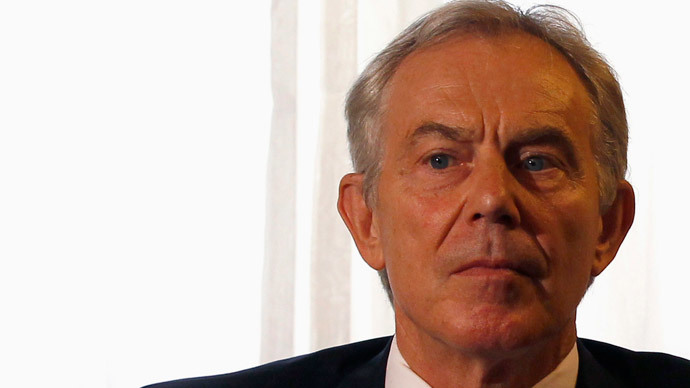 Blair continues to defend his administration’s Middle East policies. His critics, however, maintain his administration blackened Britain's foreign policy legacy, and hold him responsible for the current crisis in Iraq. Currently Britain’s top advisor on Middle East policy, Quarrey is set to begin his role as UK ambassador to Israel in July. He will replace Matthew Gould. Gould was the first British-Jewish diplomat to take on the position, based in Tel Aviv since 2010. Speaking at a fundraising dinner in central London on Monday, Gould said he will miss the role. He stressed that Britain’s Jewish community has been a great support to Israel in difficult times, and is a pillar of UK-Israeli relations. Quarrey has worked for the Foreign Office for more than two decades and has joined UK missions at the United Nations (UN) in New Delhi, New York, and Harare. Following his appointment on Tuesday, he said he looks forward to deepening UK-Israeli economic relations, and working with Israel against common security threats. In 2013, Britain’s Foreign Affairs Council decided to lift its arms embargo on Syria with Quarrey’s full backing. The Council’s decision bred criticism from anti-war campaigners who warned the policy shift was dangerous given the volatile situation in Syria.